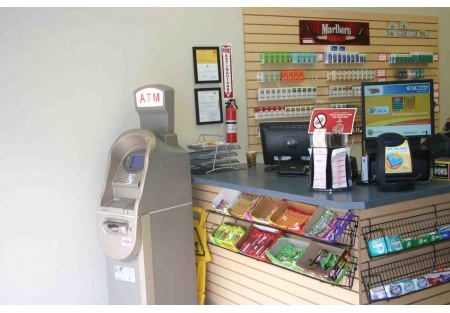 Are you looking for a newly built convenience market in a bustling area of downtown? Here is your opportunity. The demographics for this location are outstanding. The market draws from the 9-5 work crowd of the financial district that fills the streets at lunch time, the revitalized residential market and one of the largest parking structures in all of San Diego, that is literally their next door neighbor, dropping a constant stream of patrons at their doorstep. This market simply needs an experienced operator who is ready to capitalize on all the opportunity that this place will afford them. It is currently on the brink of profitability. Both of of the owners have full time jobs and can not devote the time necessary to get this place firmly established in the neighborhood. The potential is there, the gaslamp district and it's late night crowds are just around the corner, but this place is not currently open at night. They have not even done any marketing, you can expand the hours and get some advertising going and you could have a gold mine on your hands. All the hard and time consuming work is done. The build out was over 100k alone. The highly profitable relationship with the lottery is all set up. The cigarette licensing is in place for tobacco sales. A food prep area is nearly complete, finish that up and you can add catering and fresh prepped deli style items to your product mix. The space is 917 square feet with rent of only $1.25 per foot. You are not going to find a much better rent factor than that. Total rent including NNN is only $1512 per month. With rent like this you really don't need huge sales volume to make a good profit. The current lease term expires March of 2015 with a five year option available. Listing offered through Stone Path Brokerage Services, Inc.